With age, it is common to have gray hair. This happens with me too, so I looked for some solution. I wanted to avoid coloring of my hair because I want to keep away chemicals from my body. So, someone told me about using henna (Mehndi) paste on the hairs. Because, I had gray hair on the side only so it was much easier for me to apply heena on my hair. Now, the next task was to choose a good mehndi which suits my hair and doesn't cause any damage to them. There are many heena products available in the market, however, we can't be sure about their quality. So, I trusted a Mehndi from good brand "Godrej". I used it a few times and found that it is a perfect product for me. Same was the opinion of other family members. From that time, Godrej Nupur Heena become our family Heena to be used on the hair. For the last six years, this henna is used in our home and we have not got any problem with it. This product works very well and doesn't cause any side effect. The other good thing about Nupur Mehndi is that it gives a brown color to your hairs unlike other Mehndi brands which give red color. This Mehndi is very suitable for people who have grey hair in some places. After using the Nupur Heena, it becomes difficult to tell that you have some gray hair too. Only with very close inspection someone can find this difference. 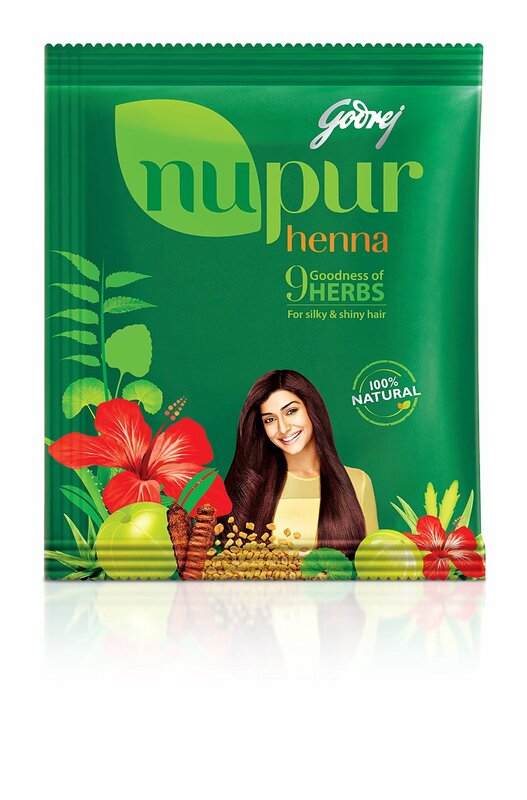 The good point about Nupur Heena is the use of 9 herbs which are believed to be good for hairs. So, Godrej Nupur Heena not only gives a good color to your hair, but it also helps your hair by providing them essential nutrients and care. 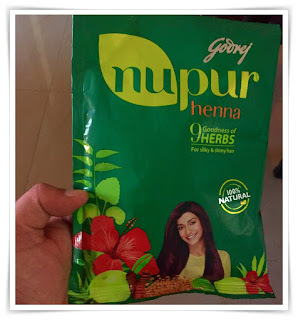 It is very easy to apply henna on hair, just put a few spoons of Nupur Mehndi in warm water to make a paste and apply it on hairs after two hours. You need to keep this paste on your hairs for two to three hours for best results. I like this product very much so I have no problem in recommending it to you. My rating for it is 9 out of 10.